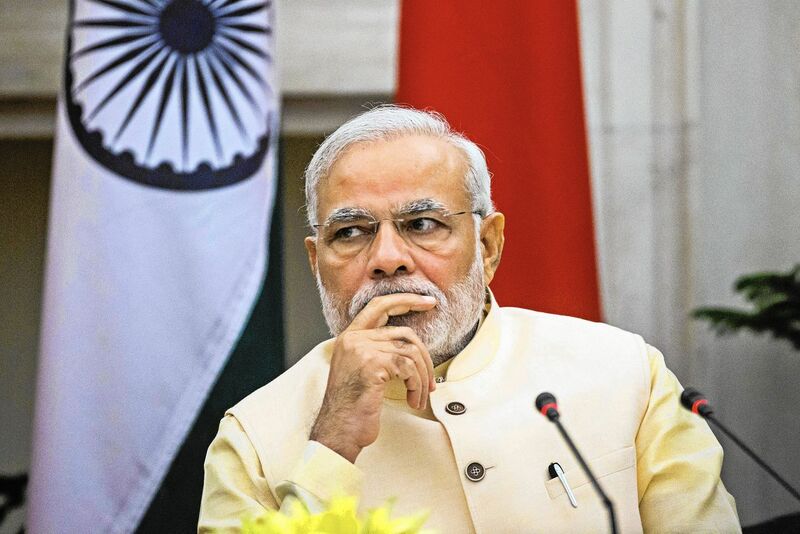 India should end ambiguity in its foreign policy, especially one that sways between the pulls of its erstwhile non-aligned stance and the need for realpolitik in current times. The best way in navigating forward for India, as it was argued in an earlier article, should be through hedging. Doing so, among many other things, would require a more pragmatic embrace of definitive actions which are pointers, if not outright declaratory steps, towards certainty in policy and decision making. While the growing proximity of India with the US, France and growing special relations with Israel do point to certain definitive estimations in Indian foreign policy, some recent decisions have proved beyond doubt that India’s non-alignment legacy weighs high despite somewhat looming anachronism of the ideology. Here, India’s questionable decisions in preparation to the recently held Wuhan summit with China, especially cancellation of a Dalai Lama event in Delhi, show that domestic compulsions and the inhibition to project sides in international alignments are not New Delhi’s forte. However, the refinement of exactly these characteristics would lead to effective hedging strategies with New Delhi. Indian foreign policy is at its most intricate crossroads. The present day geopolitical and geostrategic circumstances present a multifaceted challenge to India’s foreign policy. So, what are India’s options in hedging with stakeholders both regionally and extra-regionally and how should India take it forward? For a first, India’s status as a middle power internationally and great power regionally posits two different paradigms for testing the hedging hypothesis. In the first scenario, India is structurally positioned below countries like the US, China and Russia, both in economic and military worth, while most reckonings would place India above countries in the South Asian region and quite a few others internationally. This categorization is crucial to understanding India’s hedging strategies in future, as hedging depends substantially on spatial coordinates of a country vis-a-vis other powers. However, as countries’ position apropos other countries remains non-static, the modus operandi in hedging undergoes paradigmatic shifts relative to other stakeholders. As India’s current abilities remain limited to that of a regional power, the essential laboratory for testing hedging capabilities would be regions in and around South Asia – albeit with the involvement of both regional and extra-regional players having interests in this region. However, regional limitations to India’s hedging is breaking shackles of geographical compulsion and is gradually expanding beyond just the South Asian region, even as India has sought greater responsibilities of trade and non-trade security in the Indo-Pacific region, has participated more frequently in issues of international concern as far as the South China Sea and has taken a stand on few issues in defiance of its erstwhile non-aligned outlook. For any country, effective hedging would mean calculated combination of soft and hard power. For instance, China has evinced deft combination of hard and soft power over the last decade and has astutely used it against players both above and below than itself on the rung; the US and India figuring most prominently in that analysis. The result seems so tangible that both the countries are feeling the heat of the exemplary Chinese rise. Through much of the last decade, India has been at the receiving end of Chinese hedging strategies combining both soft and hard power. Even China’s diplomatic moves are tacitly laced with assertive underscoring of strength. State visits from either side have accompanied disguised and seemingly innocuous acts of transgressions by the People’s Liberation Army (PLA). In 2014, even as Xi Jinping was on his state visit to India, the PLA had intruded several kilometers inside the Line of Actual Control (LAC). Despite enhanced emphasis on re-energizing border talks since 2014 pushed by the new government in India, 2014 itself saw more than 300 such transgressions. Besides, the Chinese Army transgressed into Indian territory 426 times in 2017, up from 273 times in 2016. The strategy to garb relative autonomy granted to its army to be able to decouple military decisions from diplomacy has proven to be a potent hedging strategy which China has used. The success of Chinese hedging vis-a-vis India lies in effectively demarcating between transgression and incursion, while legitimizing the former as a harmless new normal. Besides, the naval domain in Asia has proven to be a strategic ground for China to hedge against a host of countries ranging from the US and its allies in the Asia-Pacific and India and its partners in the Indian Ocean Region (IOR). In the Asia-Pacific, China has not only secured areas close to its mainland but has successfully expanded sovereignty through a combination of legitimization as well as subversion of internal laws and institutions. In recent years, India has taken a leaf or few from the Chinese hedging handbook. India’s willingness to engage with all its neighbors through respectable mutuality has been hand-in-hand with stern diplomacy and even retaliatory measures. Most recently, in a commendable effort to segregate diplomacy and military decisions (much like the Chinese diplomacy running hand-in-hand with relative autonomy granted to its military personnel), the Modi government took the decision to build 96 more Indo-Tibet Border Police border outposts, along the 3,488 km long India-China border, even as the critical Wuhan Summit between India and China was on. Opposed to the past trends, India mixed its steps in days building up to the Wuhan summit between cautiousness, readiness, political will to engage and more importantly, strong character. The usual direction of rhetoric bucked the trend when just weeks before the Wuhan meet, China complained of Indian Army’s “transgression” into the strategically sensitive Asaphila area along the disputed border in Arunachal Pradesh. India’s political will to engage with China, albeit only commensurate to its strength, has been competently coupled with military resilience; depicted in the Doklam incident particularly and the recent surge in border infrastructure and enhanced military deployments near the Chinese border. The strategy of political engagement along with additional leverages favoring it, has been a cunning strategy that China has used with most countries in the Asia-Pacific. China stands at a unique position in global world order where it has become fairly organic for it to combine soft power and hard power, just as the US did since the end of the Second World War. China’s Belt and Road Initiative (BRI) has proven exemplary in current times to have clandestinely mixed elements of hard power with soft, leading to what some have labelled ‘sharp power’. More importantly, the BRI has decentralized and disseminated Beijing’s influence, thereby creating strong nodes of external leverages across Asia, Eurasia and Europe. Such dissemination of power and control by China is more conducive to hedging, as elements of hard power and hostile intentions remain well under the veneer of economic aid, infrastructure development, connectivity and similar agendas. China’s ability to create external sway-nodes extending all the way up to India’s neighbourhood, particularly in South Asia and the IOR, has jolted India to develop countermeasures. In response, India’s resistance has come to include mending ties with neighboring South Asian countries, strengthening its ties with IOR littoral countries and creating external balances, particularly through its strategic partnership with the US. India’s attempt to create external influence in Seychelles (Assumption) and Oman (Duqm) through use of strategic ports and bases, membership in the Quad, increased maritime reconnaissance, its cooperation with Japan to counter China’s advances in the Indo-Pacific and the South China Sea and above all its stand with the US through the US-India Joint Strategic Vision for the Asia-Pacific and the Indian Ocean signed in 2015, evince India’s political will and gathering readiness to hedge against China. For India to sustain hedging as a sustainable foreign policy strategy, it would have to be multidirectional, as opposed to being focused on one country which poses the most immediate threat. Here, options of hedging against other major players in New Delhi’s concerns are equally important. India’s position as one of the world’s largest importers of arms bestows it with unique positional advantage to hedge against Russia and the US – both having consistently competed to replace each other in the last few years as the largest exporter of arms to India. But even as Russia seemed to retain its numero uno position in defense supplies to India in 2017 after a small slump, India’s rising defense understanding with the US seemed to mitigate the gain. Between the US and Russia in recent times, India has also emerged as a coming of age power that has not only increased the rush to hold more power nodes in Asia but has increasingly made the competition more complex. New Delhi’s exceptional position between Russia and the US has allowed for simultaneous parity in relations with both the countries. While Russia remans India’s top defense supplier, the latter has attained the special category status with the US, namely, ‘Major Defense Partner’. India’s perceived lurch towards the US of late has pushed Russia alongside China and Pakistan. Also, regional concerns of India that weighed heavily on Russia until a few years ago, have now become peripheral in Moscow’s calculus. The US, for itself, is not very pleased with still strong Indo-Russian ties. Cues from escalating animosity between Moscow and Washington globally is likely to test India’s hedging skills in the near future. For instance, successful hedging for India in the near future should entail a sealed deal with Russia for the purchase of S-400 Triumf missile systems while still steering clear of any US sanctions for it. Nonetheless, India should brace for an unpredictable response from the Trump administration which has warned that, the deal is being finalized at a time when US President Donald Trump “is both weighing more extensive sanctions against Russia and trying to forge a military alliance with India”. Russia too, is not too happy to see New Delhi gradually tilting towards the US. Although talks of a Russia-India split may have been over-exaggerated, Russia’s increasing proximity with Pakistan, especially military relations, has caused some concern in India. For India, one of the most effective ways to create regional leverage for future hedging against the regional countries and external players such as China, Russia and occasionally even the US at the same time would be to tacitly yet functionally accept its role as a net security provider and implicitly as a regional balancer to China in the IOR. The resultant heft generated for India’s would simultaneously create multidirectional hedging possibilities due to the emergent complex multi-power axes that have redefined power alignments in Asia; US-India, China-Russia, China-Pakistan, Japan-India and Australia-Japan-India-US. Some would rate this supposed endeavor as out of New Delhi’s reach economically, politically or militarily. The acceptance of such a role with pragmatic steps in that direction is likely to constitute the first steps towards building regional hedging capacities. The deftness with which New Delhi is able to garb its strategic purpose with its declared goals and diplomacy, would define the path of India’s hedging strategy against other international players of significance. Regionally, India has done reasonably well in recent years to undo the capacity-deficit vis-a-vis other nations, but only through steps that would account for countermeasures. India’s natural position in the region as the biggest economy, largest military (especially naval power) and geographically strategic location provides tremendous capability both to hedge and absorb hedging from other countries. However, Chinese inroads in the region, not often with the most benevolent intention, has altered relative negotiating position of quite a few regional countries vis-a-vis India. As such, Pakistan has witnessed a slew of Chinese investments, deep Chinese inroads through the China-Pakistan Economic Corridor (CPEC) and a planned naval base at Gwadar in Pakistan; Sri Lanka has leased its strategic Hambantota port to China for a period of 99 years allowing Chinese naval inroads in South Asian waters; Nepal now seeks an even ground in talks and relationship with India and is using the China card against India at will; and above all, even Maldives snubbed India in the recent constitutional crisis in that country to the advantage of China. These developments have substantially curtailed India’s negotiating power in its neighborhood. Much of the loss in India’s hedging power in its neighborhood has to do with the deficit in aid providing capacity vis-a-vis China to needy countries and lack of a ruthless political actions. There are some concerns that for India, hedging as a strategy in the international political, economic and strategic space, cannot be a permanent one, beside concerns whether advantages accruing out of the risk to hedge would outweigh the disadvantages. Here, it should be noted that India is one of the most mobile nations currently with one of the fastest growing economies and ranked 4th on the latest Military Strength Index. This presumes an inherent dynamism and alteration in its own correlates vis-a-vis other players as its external competitors and factors. Therefore, while hedging could be a relatively prolonged strategy for India, the strategy’s components will change rapidly and definitively. Also, India’s current position, both in the regional and global paradigms provide sufficient space for mobility, in turn allowing requisite maneuverability for hedging. Under current geopolitical circumstances, India has depicted a strong political will to combine elements of hard and soft power, going forward. India lost an important opportunity at creating hedging capacities in the Indo-Pacific when it reportedly vetoed Australia’s request to be a part of the Quad, especially when other members like Japan and the US were on board for the timely expansion of the quadrilateral grouping. The decision coming on the heels of the much-hyped Wuhan summit between India and China, India’s decision to preclude Australia has an obvious explanation; placating China. A far better option for India would have been to remain neutral on Australia’s inclusion and let the heat from China on Australia’s inclusion be deflected to Australia itself, or other members of the Quad who vocally supported the move. The move to veto the decision is neither likely to win India Chinese accolades nor any favors from its Quad colleagues. The one big takeaway from this decision is that retrospectively principled grandstanding would pose the biggest threat to India’s options of strategic hedging in the future. Effective hedging requires creating protective bulwark alongside neutralizing or mitigating threats and challenges. Hedging in international politics, by definition involves creating external common leverages with other stakeholders, with the estimated advantages tilting in favour of the actor nation. From India’s perspective, various aspects of the aforementioned definitions are currently being exemplified through action by various international actors more effectively than India; China, Russia, Pakistan, Sri Lanka, Nepal and even Maldives. It is time India learns to take greater risk in international politics and learns play one country against another, while still ensuring itself a relatively safe passage.